With international tourism growing at a 26% rate in Qatar, the country&apos;s Islamic Culture Center is preparing to launch a social media campaign to teach the new visitors what they should and shouldn&apos;t wear in the small desert nation, where temperatures can reach 120 degrees. Using Twitter and Instagram to promote their "Reflect Your Respect" campaign, Qatar hopes to get tourists to follow the local customs by leaving their "indecent" apparel at home. Swimsuits and beachwear are allowed in hotel pools, but Qatari custom dictates that both men and women must cover their shoulders and knees when in public places. Shorts, tank tops and crop tops are all frowned upon. 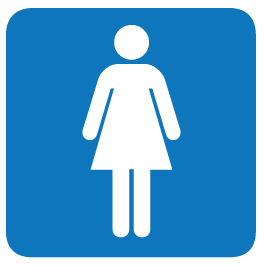 "Leggings are not pants," and no, the women&apos;s restroom symbol probably wouldn&apos;t pass, either. Of course, many sports fans are still years away from planning their first visit to Qatar for the 2022 World Cup — if it&apos;s still happening. But those who do attend the World Cup in Qatar will have to adjust to Qatari customs. "If you are in Qatar, you are one of us," one of the "Reflect Your Respect" leaflets reads. "Help us preserve Qatar&apos;s culture and values, please dress modestly in public places." Another leaflet also reminds visitors that publicly singing songs, uttering indecent phrases or making obscene gestures can result in imprisonment for up to six months. 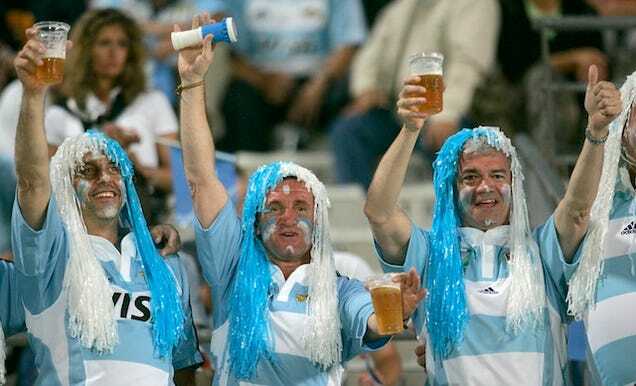 That means, in eight years&apos; time, television viewers around the world may have difficulty finding images of the rampant drunkenness (illegal), public makeouts (illegal) and risqué costumes (illegal) that World Cup fans are famous for indulging in. All of this stands in stark contrast to the looming 2014 Brazil World Cup, where the allure of sunbathing on Brazilian beaches is paramount and where the beer prices, government officials have assured the public, will not be raised. The campaign, Qatari spokeswoman Umm Abdullah told the Doha News, is a response to a growing number of foreigners who are unknowingly violating Qatari customs and laws by walking around in public parks and malls dressed in inappropriate attire. Beginning June 20, just before the start of the holy Muslim month of Ramadan, a group of Qatari women and children will begin distributing the "Reflect Your Respect" leaflets, which explain the customs in both English and Arabic. Flowers, chocolates and shawls will also be handed out alongside the fliers, in an attempt to bring an affable approach to the possibly contentious issue. So if you are a rabid soccer fan who wasn&apos;t able to get tickets to Brazil and doesn&apos;t want to risk being put in prison for drunkenly singing with the shirtless English fans you&apos;re sure to meet at a World Cup, you can start planning to visit Russia, host of the 2018 tournament. We heard they&apos;re pretty tolerant.